A BIG thanks to Pop Secret for sponsoring today’s post about one of my favorite snacks! My husband and I treasure our weekend time and although it can be hectic spending the day running errands, at the end of the day it is all about watching a good movie. We love to watch old movies and my husband has assembled quite a variety for us to choose from. There have been a few occasions (ok maybe more than a few) when our movie night has been ruined because someone was a little lax in paying attention to the popcorn and it ended up a little overdone (I of course am not pointing fingers but that someone was usually trying to catch the last few minutes of whatever big game is on.) Well, maybe a lot overdone where one would call it “charred” beyond recognition. When you opened it, it was just one big clump of a hot, black mess. And that wasn’t the worse part. I think we all know what the aroma of gross, burnt popcorn smells like. That is a smell that you don’t forget. It seeps into your furniture and window coverings and lingers for days. You can forget about watching a movie after that happens because you just need to get outside and away from the smell. With your iPhone 5+ on iOS 7+, download Perfect Pop (“Perfect Popcorn”) for free on the App Store. You can also use your iPad. It is just that easy! I know you want to try it. Hurry on over and download the Pop Secret App so that you can be ready for your next family movie night! Our favorite flavor of Pop Secret popcorn is Homestyle. How about you? Pam Buttikofer is a co-founder of Imperfect Women. She lives in Los Angeles with her husband of 37 years and enjoys spending time with her husband, sons and her lovable pups. "Ring" in the New Year with the Moto X Smartphone! WOW! This is amazing. Do you know how hard it is too get anyone under the age of 25 to WAIT by the microwave to LISTEN for the popcorn? I CAN’T STAND burnt popcorn, or even slightly charred popcorn, or even perfectly popped popcorn from a bag with vharred kernels in it. NO MORE WASTE! My Hubs is the popcorn eater in our family. I am the one who stands by the microwave and listens for that last pop. Sometimes… I burn it though. I love that App,We have a popcorn machine so once they pop they fly out of the end and in to the bowl which my kids love. Popcorn is my husband’s ideal move snack. I prefer my air popper and some white cheddar for my snacks! Ah, this is so cool. I haven’t seen it yet but can’t wait to try it. I’m going to have to try that because my popcorn button does not work perfectly at all. Plus, I always use Pop Secret 100 calorie pop because the kernels are nice and big! Me and my son LOVE popcorn and Pop-Secret is SO yummy! Our favorite is the movie theater butter kind! How cool, I vaguely remember hearing something about this app, but didn’t remember the details. Thanks for sharing. I love popcorn and I always use Pop-Secret. What a great idea a popcorn APP! I hate when we are not paying attention and burn it, not only is it ruined but it smells the house up something awful! Thanks for this great tip! This is genius! I’m going to have to try this! Ok, so I am totally downloading that app! I burn my popcorn all the time! I love that there’s an app! My microwave button never seems to get it right. I’ve heard of that app… I don’t think I would download it tho. We love popcorn, these days we use an air popper for the most natural popcorn. I am checking this app out ASAP!! I have a “popcorn” setting on my microwave but it usually always leaves too many kernals and doesn’t get it all popped. I’d much rather THAT problem though, than burnt popcorn. There is nothing worse than THAT smell. Bleckkkk! This app looks really cool, I’ll have to download it. Who doesn’t love popcorn on movie night?!? That popcorn app is so cute. Love those movies you got there too. That is so cool! We love popcorn so we are going to have to try it out. I bring these with me to work for a mid day snack. My coworkers love me for bringing it. This is such a cool app – who knew that they had created something like this! We love popcorn at our house. Popcorn is such a great snack. My son thinks this app is awesome. he uses it every time he makes popcorn. I’m sitting here trying to think of the last time I ate popcorn. We have movie nights often but snack on other foods. Maybe I should have a night at the theater to remedy that! Whattttt?? That’s the coolest app ever. We make A LOT of popcorn in our house. Okay, that is a ridiculously cool app. I need to get it for my husband, who always burns our popcorn. Nothing quite like a freshly popped bag of popcorn! My favorite is anything that is heavily buttered! Wow, who would have thought they made an app for that? LOL! My boys love this app, we discovered it this past weekend. We will never have burnt popcorn again – they keep a close eye on it now. An app for popcorn!? Now that’s handy! I hate it when some burnt pieces get in the bag. Definitely ruins the experience! This app is genius! I dislike the smell of burnt popcorn with a passion. So the app can hear the popcorn popping? That is a fun app- my kids would get a kick out of that. This app makes me giggle but I can see where it might come in handy! My kids would think it was awesome! Interesting app. Love pop secret. I think that’s cool. And popcorn is one of my favorite snacks too. I love eating freshly popped popcorn while watch a new movie. We love Pop Secret but we didn’t know about that app! How cool is that?! I love Pop Secret. We pop a bag almost every Friday Night for Family Movie Night! Wow, I didn’t know they had an app now to tell when your popcorn is done. I will have to try this out next time I pop some! What a fun app, I hadn’t heard of it before! We love munching on popcorn while watching movies! Is this for real? LOL WOW now I can say they have made an app for everything. The kids will love this. Thanks! Definitely a lover of microwave popcorn. It’s always on the grocery list and a fave of my little girl. However, I am in the dark ages of cell phones. I text and make calls, every now and then I use it for a crappy picture. Lol, don’t even have any games on mine. As someone who loves popcorn and has burned a bag or two in my lifetime, I am ecstatic to hear about this. I’m also addicted to my I-Phone. Sometimes, it is a waste of time I admit, but then an awesome app like this comes along and I fall in love all over again! We have this popcorn and I HAVE to download this app – I’m so curious how it works! Wait til I show my kids! So there is literally an app for everything…even how many secs to pop your popcorn??! Genius I love innovation!! I guess that makes it official….there is an app for everything. I like to pop my popcorn on the stove and add cheese or seasonings. That is an awesome idea. We eat microwave popcorn a lot in our house. I am so downloading this app. Pop secret is our favorite brand of popcorn. I am partial to their kettle corn. OMGosh where was this app all those hundreds of burnt popcorn bags ago? This is sooo cool! I don’t even want to know how many bags I’ve burned. LOL! I’ve gotten better though. An app for everything they say and how cool is this. I have had a few times I have burned the popcorn so this just might be a good one for me. popsecret is awesome popcorn. i really like their 100 calorie packs. healthy and delicious! This sounds like a great app for popcorn lovers. Thank you for sharing. This is a really cool app; I only wish I had a phone to download it to as I am a popcorn junkie! This is a neat idea, Wish I had a iphone to try. Wii have to settle for the old way of tying to hear the last pop. Love popcorn. I know that there is pretty much an app for everything, but I never really would imagine an app for popping popcorn. Pop Secret is the only popcorn I buy. I love it! We love popcorn. this is great for perfect popped popcorn. WOW!! I’m just amazed at the apps that they come up with these days. I never would have thought that there would be an app to tell you that you pop-secret popcorn is ready. This is awesome and neat to hear about. Something I am going to have to look into. I’ll have to check out this app. I have a tendency to burn popcorn. Nothing worse than the smell of burnt popcorn. This app would have been handy last week! I used the preset “popcorn” button on the microwave but it got burnt. I think it’s because the bags have gotten smaller. Would also help with those “mini” bags they sell now. I really want to try this app out! I can NEVER get my popcorn to come right! So cute, makes the anticipation manageable for this tough crowd of 8-10 year olds. This is great. I would totally use this! I don’t have a microwave so it would not work for me, but it is a great idea. My goodness what will they think of next. This is a real fun app but unfortunatly I don’t have an Iphone. Wow there truely is an app for everything now isn’t there, lol. I heard the other day about an app that accurately measures foot size. It is neat, not sure if I will use it though. We are a HUGE popcorn family lover! This is SO neat! This would be really great for someone like me with little ones that can sometimes distract my attention away from my eventually burnt popcorn. Let the app pay attention to the popcorn while I care for the little one. Thanks for the great tips I need all the help I can get when it comes to making popcorn and I love eating it. It is a very ,very, very different way to do it. I’m so going to forward this to my mom, she loves popcorn but always burns it. I take Pop Secret popcorn with me when I travel on long road trips. It’s a great snack! I love snacking on popcorn. My favorite is Kettle Corn! I don’t eat popcorn often but when I do it has to have a lot of butter! This is interesting. Just when I think there are no more apps that needed to be created this has showed up. Its a very creative app. Great Job Pop-Secret. I am also confused on how many second between pops and tend to burn the first bag so This is really going to help! I look forward to using it for the first time today! Unfortunately, I don’t have one of those fancy, hi-tech phones to use this app. That said, Pop-Secret is one of my favorite brands for microwave popcorn. Always pops up so nice with very few ‘old maids’ in the bag. What a cool app! My family’s favorite flavor is also the Homestyle. Reminds me of the popcorn my mom use to make when we were kids (before microwave popcorn). We love popcorn. It’s a tradition to have this on movie nights or in the cinema for snack. And with this cool app, surely we’ll enjoy our popcorn more. What a neat way to use technology! My husband always leaves it in there popping too long so I’d love to give this app a try! I love Pop Secret! Especially the microwave movie theater version. It’s Awesome! We dont do micro popcorn. I know I just heard a few gasp also a few What’s? lol . I am sorry I can not do the micro pop corn thing.I guess I am a popcorn purest. It taste different coming out of the micro. It is MUCH more expensive to buy the micro popcorn. So I still pull out my old cast iron skillet pour a little oil in and get it hot then add my kernels of popcorn and shake shake shake it. I am glad we live where there are options and you can micro your popcorn if ya want . However it just isn’t for me. My Hubbie could care less as long as I am the one fixing he will eat it. I know I am picky ! I cant help it I was born this way…. This is a great idea! I am always burning my popcorn!! I can’t believe there is a popcorn app! It seems that technology helps in every part of our lives now. LOL, Love it! Going to be making popcorn even if I am not hungry to to keep listening to it! And no more burnt popcorn. This app is such a great idea. So often, we end up burning our popcorn and boy does it stink up the house. What an awesome app…I love popcorn and you basically have to stand in front of the microwave to be sure you don’t have a bag of blackened popcorn. Somethings are supposed to be eaten blackened but popcorn is NOT one of them. I am definitely going to try this next time I make popcorn…which is usually everyday! I can’t wait to try this app! Our microwave never gets it right and it is almost always burned. I’m a huge fan of pop-corn. It is my favorite evening snack. This is one of the coolest apps ever. I burn popcorn all the time, I can never get the time right!! I will be using this app for sure!! OMG people at work burn their popcorn all the time! It’s infuriating because you just cannot get the smell out of that office. Yuck! Thanks for the review. I never knew this was a thing. This app would have saved my microwave that had a bag of popcorn catch on fire. We had to throw that microwave away! I don’t eat popcorn but this is a great app. Thank you for your review. It is about time that something like this was created. I always burn my popcorn!! Now I can get an app to help me with my popcorn popping and it will not get burned. Awesome! I am a popcorn lover and usually eat it every day. It is very easy to burn, and this app would be useful, but unfortunately, I don’t have a smart phone. Hello! Where have you been all my life? My son and I LOVE popcorn and I can’t wait to try this. We don’t love burnt popcorn or half popped bags. I like the light butter flavor. If this app works, it would be very helpful. I tend to burn my popcorn. Burned popcorn is a bit of disturbing but the smell of it is much worse because it lasts for a couple of days. This creation sounds great if it will keep from two bad things happening. Would be great to try. This looks like an awesome app. I’m always nervous about when to stop the microwave with popcorn! btw, i’d read that if you put your popcorn kernels in the freezer for an hour before popping you wouldn’t get any unpopped kernels. I’ve been doing this for a while now and believe it or not….it works. The popsecret app sounds cool I’ll have to give it a try. 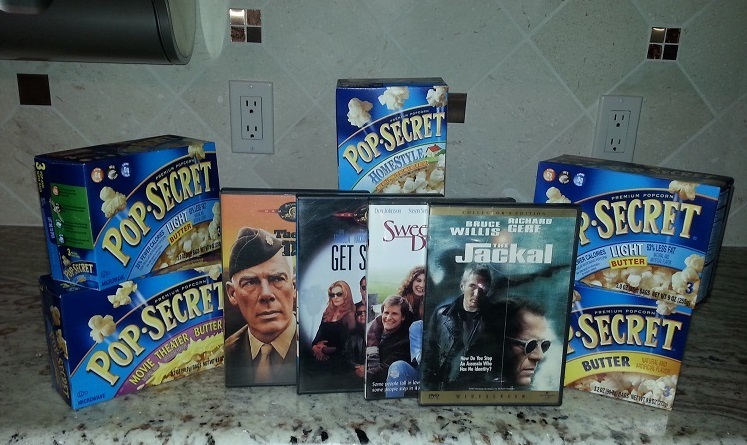 We love family movie night and popsecret is our popcorn of choice. I think this is so neat! Pop Secret is our favorite popcorn. The perfect app for serious popcorn-poppers like me! This is great, different microwaves have different pop times, and you can’t trust what it says on the bag. Having this app will make popping popcorn so much easier. Thank you for sharing this review. We are popcorn addicts at our house. I have never ever heard of this one. This is such a cool app . A popcorn App that listens to the sound of the pops, this is incredible and I am so glad I will not have to continue putting my ear against the microwave. This is a great App! we love popcorn on family movie nights. now with the App we don’t have to worry about burnt popcorn. I don’t see the need for this app as I am the one to stand by the microwave and listen for those pops or should I say pops with pauses. I haven’t burnt my popcorn yet! I love pop secret and a great movie. What a fun idea. We love popcorn in our house. I will have to give this a try. GREAT now my microwave can learn from the app. My whole family loves popcorn and I find this app very handy for making perfect popcorn. I love eating popcorn, but I always burn it. I have stunk my office at work up and home many of times trying to make popcorn. I recently heard about this app and very excited to try it out and see how it works! OH man…I really need this! I seem to burn our popcorn alot! Somedays…2 minutes is prefect popcorn! Tomorrow….2 minutes will burn it! I just cannot figure out the timing for them and this app would be so helpful! Gotta love popcorn!!! Pretty neat app I’ll have to try of out. Thanks! My kids eat popcorn several times a week. I never thought about checking the apps for a helpful tip! This is a good idea. The smell of burnt popcorn is awful and lingers for sometime. Pop Secret is the best!! Especially at work. What a great idea. We love our popcorn here and there are times it comes out a little burnt for us. So this would work out great for us. I love the app. So many times my popcorn maker overcooks the popcorn and we end up with burnt popcorn on the bottom. What a great app. Many times, my kids or I burn popcorn. What a great solution. Wow, great app! We don’t use microwave popcorn anymore, though. I got a old-fashioned, stove-top popper. The difference in taste is amazing: it tastes like actual corn, instead of chemicals. This is so nice not having to guess when the popcorn is done and getting a lot of unpopped kernels or burning the popcorn. Nice app. to be able to tell when the popcorn is done to perfection. I’d have to get a smartphone before I could use this. I usually just stay right by the microwave. We used to have a movie night each weekend. I kind of miss it. I love a good, hot, fresh, buttery bag of popcorn to go along with. This is a great idea to help people avoid having burnt popcorn. I am the usually one to stand by the microwave. This would be a great app to have. I am constantly burning the popcorn. I don’t have a cell phone but Im sure the app is helpful in making sure your popcorn is just perfect ! That is a really cool app! I rarely burn my popcorn but it has happened! My granddaughter & I love to pop a bag of Pop Secret Kettle Corn & watch a good flix. It’s one of our favorite things to do together. Looking forward to our next popcorn, family movie night. Should be good! wow, never seen that one of a kind of an app before! i am curious how awesome my popcorn making will be if i get to have that app! this app is pretty much the coolest thing i’ve ever heard of! i remember burring a lot of popcorn bags and i think i’d rather have a fish smell in my house than burnt popcorn smell! i like how the pop secret tells you NOT to use the ‘popcorn’ button on your microwave. i will definitely have to try this out.! I always enjoy hearing about creative new apps! That popcorn does look cooked to perfection! Now that is a really cool app.I want to try this next time we make popcorn! I love popcorn and eat it every day. I don’t have an iPhone, so I wouldn’t be able to download this app, but it would be great to prevent burned popcorn. That is SUPER COOL! A Perfect popcorn app is wonderful! Thank you for sharing! what an awesome app. i dont know the app works so wonderfully accurate at gauging the popcorn time. thank god this app is around now i can make popcorns easily without burning them. Our family loves popcorn! This is a great brand! That’s actually a pretty good idea! Burnt popcorn smell is the worst! Great idea! I hate burned popcorn! Some brands end up with un-popped kernels while others burn and have a burned taste. Awesome app! I’m gonna use it for sure! No more burnt popcorn — perfect for movie night. This is amazing. What will they think of next? I’m always afraid of burning my popcorn so I have a lot of wasted kernels in the bottom of the bag. Thanks for sharing! This sounds fun and intriguing. I can really see my grandson getting into it and no one likes the taste or smell of burned popcorn. This reminds of the video I saw on you tube where they put some cellphones in a circle and the “waves” create heat that pops a kernel of popcorn…. lots of comments about it not being real..hehehe who knows…. Anyways what will they think of next? 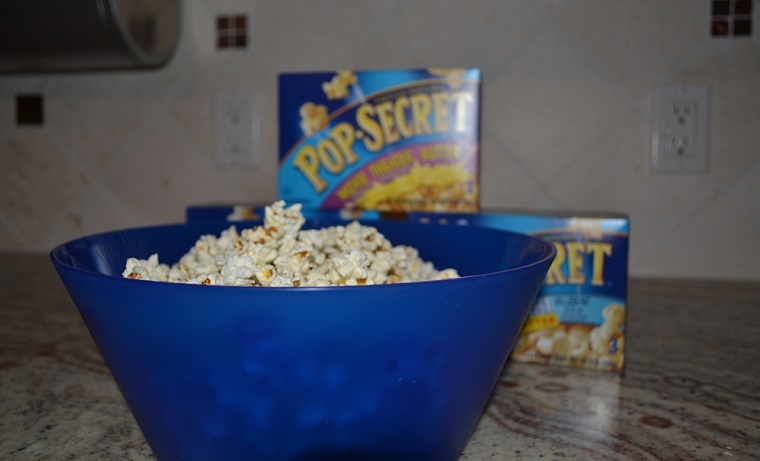 Two minutes can be a very long time especially if you are running on the treadmill but standing in the kitchen for two minutes to wait for my popcorn is pretty do able….I love Pop Secret!!!!! This is so cool. We are going to try this tonight. Since all microwaves are different, package guidelines are just that, not a hard and fast rule. This app listens to the amount of time between pops and lets you know the right time to take the popcorn out. Great idea! This is actually pretty neat! I remember growing up at one house the perfect time was 2:22 – where I live now it’s 2:15 – almost always perfect! PopSecret Popcorn is so high tech! I’m going to try this! i can’t believe there is an app for this too!! There is apps for everything and what will be next??? I do love popcorn and don’t like to burn it so this is a good thing. I can’t say that I’ve ever burnt my popcorn or have been unable to hear the microwave go off. My microwave also has a popcorn setting that work quite well. I love pop corn! It’s so fun there’s a special aplication:)) I’d try it for sure! This is an interesting idea for an app that probably works pretty good by listening for the time between the kernels popping. Our microwave oven has a popcorn button that really does a good job of popping the bagged popcorn already and I don’t have a cellphone anyway. I always burn the popcorn the preprogrammed button doesnt work well. What a great app idea! Just the other day I burned the heck out of a bag of popcorn. We were trying to make candied popcorn but it didn’t turn out so well. Should have had this app! That’s so funny, I guess there is an app for everything. We make our popcorn the old fashioned way on the stove top, but I wonder if this app would help? First I’d have to get a smartphone. I just wait by the microwave until it’s done. my family loves their popcorn. what a great app, I’ll definitely try it! 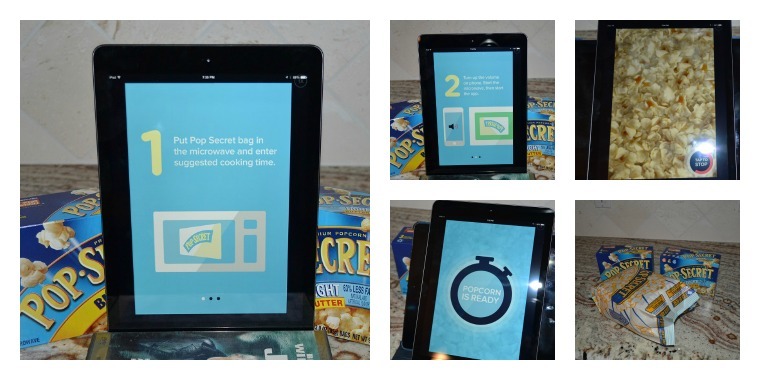 This is a neat app, we love Pop secret. I am going to see if they have the app for older iphones too. This is an interesting idea for an app that probably works pretty good by listening for the time between the kernels popping. Our microwave oven has a popcorn button that really does a good job of popping the bagged popcorn already and I don’t have a cellphone anyway. 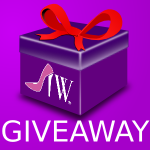 Entering another contest that wants me to comment on this post so here is another one. This is just so absolutely cool! I am really interested in trying this! pop secret is my absolute favorite popcorn. nothing else compares ever! the kettlecorn is to die! Pretty cool app…my boyfriend is the popcorn eater in our household. This is so neat, we are going to have to try this on our next movie night! This is an awesome idea I really like pop corn but I hate over done pop corn! i love their popcorn and my kids do too! we are avid popcorn eaters and enjoy munching on it while watching movies! This is an awesome idea! Whoever thought of it is a genius! It sounds as a great application. I have to try it! I need this app. I am a big fan of popcorn, but always seem to burn it. I learned long ago, do not use the “popcorn” button on the microwave. It burns it everytime. I love this. Our popcorn button burns every bag. What a fun app! My husband & I have movie night all the time and really enjoy popcorn…we’ll have to download it!! The app sounds fun! I can’t wait to try it and it sounds like a great way to let you know when it is done poppinG! I love this!! I will definitely be getting this app! Nomore burnt popcorn!! Woohoo!! Love it! I can do a zillion other things instead if standing by the microwave!! Awesome idea! What a great app! Love it! Wow…that is a really cool app. I’m good for burning popcorn when I don’t have the handy dandy popcorn button. is it available for the galaxy? Burning popcorn is my least favorite activity. This app could potentially be useful. Hi! What a cool app! I know I’ve burned popcorn many times. This would be great to have. Thank-you for the information!! We love popcorn and popsecret is one of 3 top popcorns we eat regularly. All I know is they all tend to have different pop times and I hate to stand there waiting for the popping to slow down. I would love an app to help with that but I am skeptical about it helping. The only thing this app needs is the ability to stop the microwave too. Whenever I do microwave popcorn I definitely burn it, so this app will be helpful. I think your review is very good and informative. I love movie night at home with my girls and some great air popped popcorn. This is interesting. However i don’t think an app is needed to pop popcorn. My husband and I love to try mixing it up with our popcorn. Sometimes we do “taco popcorn” (taco seasoning and butter) or sometimes we go sweet and drizzle on chocolate! Popcorn is a versatile snack! I need to download the app and make my kids download it also. There is nothing worse then the smell of burnt popcorn! The smell lingers for days. I think this a a fun idea. This is a very neat app. for popcorn lovers everywhere. I’m so impatient whenever I have to wait for the microwave, so this app seems like the perfect distraction, and a very useful one at that!! popcorn is my favorite snack: low-fat, filling, and delicious. can’t wait to try this out. I love popcorn but I’m no good with smartphones…maybe this app will be the thing to change that! Love the tips! Heading to download the app now from my iPhone. This is just crazy cool! What will they think of next? My family eats popcorn almost on a nightly basis. We will definitely be trying this app tonight as my kids will think that this is just too cool. And for me there is nothing worse than the smell of burnt popcorn in the microwave. This is such a neat idea. Last time my son and I made popcorn we burnt it something dreadful. This is such great information. I am going to try this. I would love to have this app, but it’s only for Iphones, I have an android. This sounds both fun and useful. I wish it were available for other smart phones. Usual the only popcorn I eat is movie theater popcorn, just because I tend to burn microwave popcorn. But now that my toddler has a newfound affection for popcorn, I’m going to have to try the app and microwave some popcorn an home now! Amazing what technology can do ! Would love to try this out. I can’t believe there’s an app for that! lol. Seriously though, how many times have we over or under-done the popcorn? Someone was thinking and said enough is enough! This is a great idea for a popcorn lover. I don’t think it would be for me, though, because I use an air popper. We are huge popcorn fans and love all the flavors. The app is going to be a life saver and our microwave will benefit too. We love popcorn in our household. The app is a cool idea. i am super sad that I don’t have an Iphone. this sounds like just a fun and useful app. This app is absolute genius! Love it! As one of the biggest popcorn addicts in the country, I am truly impressed! I’ll have to check this app out as I have a tendency to burn popcorn. That is such a cool app! I am always burning my popcorn. Who knew there was an App for that! Good thinking- more of a problem than you would think! OK, that’s a genius idea! I’m trying this, we eat tons of popcorn- the movie theater butter kind. Yum! The Homestyle popcorn is also my favorite! It reminds me of the popcorn my uncle, who passed away several years ago, used to make on the stove! I love this app- it is so cool. I love making my own popcorn! This sounds like a useful app. I came home to a smelly house on Saturday because my mother-in-law burned popcorn in the microwave. She could have used this app! What a cool app! The popcorn button on our microwave likes to go rogue sometimes so there’s never any telling if it’s going to stop in time or not. This would work perfectly! This would be a cool app but unfortunately I don’t have an apple product to use it on so…our microwave is slow so most likely to burn popcorn every time. I am amazed by these different apps. Who has time to think about this stuff? Loved Hearing your Enthusiasm about Wanting to be the Imperfect woman. Love the App Idea, I actually have not heard about it or seen it. This article is very entertaining. The smell of burnt popcorn is definitely one the WORST smells of the kitchen! And your right, it stays for days and can ruin any movie night! Unfortunately, I am not a fan of Apple and do not own an IPhone or Ipad so I cannot take advantage of this awesome app! Oh well, I will stick to standing by the microwave listening to the pops! 😉 Pop Secret is a favorite here as well, we like Butter flavor in my family! This is so cool. I am def going to try this. I just got an iPhone last year so I am glad I can do stuff like this now! I think that app is such a fun idea!! I have to admit I have issues with perfecting my popcorn pop! We rarely make popcorn at home but I’ll admit that when we do we often become distracted and end up with burnt smelly mess. This app would be a great way of avoiding it. Popcorn is good almost anytime, but none so much as movie night either with the ones I love or all alone. Amazing what they create for apps. I’ve figured out what setting to do our popcorn on with our microwave. We also don’t buy Pop Secret brand popcorn so the app would be useless for us. Neat idea though. What a great idea! There’s nothing worse than craving popcorn, and then ruining the last bag by letting it cook too long. This app looks very interesting! I like the cheddar flavor. Perfect pop app is really amazing. I will have to download it. That is an awesome app! Would love to see how it works! No doubt the app is way cool (and definitely FUN!) but I’m not sure if I would bother with it much. Our current microwave seems to do a perfect job (with it’s own preset) on every brand of popcorn we’ve purchase! Thanks! The app sounds awesome and I would love to try it once I get a smartphone. Thank you for sharing this information. Our family loves popcorn and it is such a great snack. What a fun and creative app! No more burnt popcorn. i love popcorn. having an app to tell me when my popcorn is perfectly popped is pleasantly pleasing. looks like a major movie night to me!! wow. It is a great app. I love popcorn.I would love to see how it works.